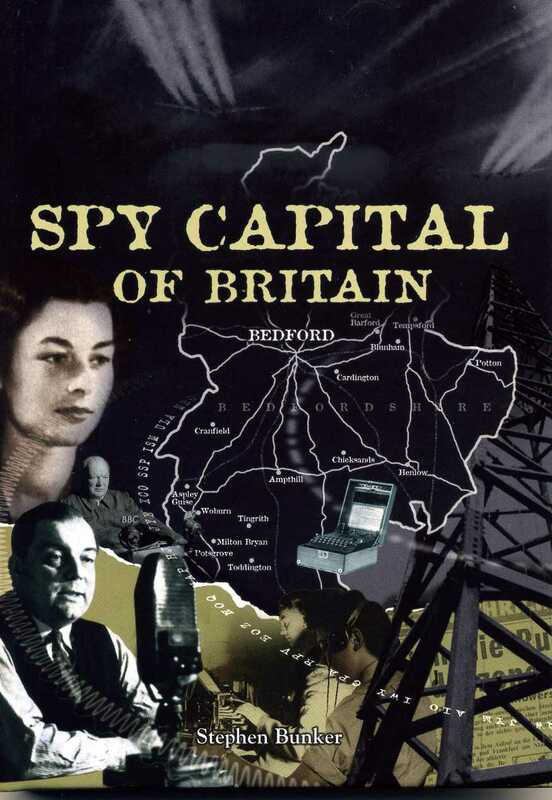 The themes of Stephen Bunker’s book are likely to be familiar to many members: Bedfordshire’s substantial contribution to the ‘secret war’ against Nazi Germany and the work of Bletchley Park, the Political Warfare Executive and the Special Operations Executive. The book, which is authoritatively researched and well-illustrated, is divided into four main sections: ‘Cast of Characters: Some Biographical Notes’ : brief notes on 51 key individuals involved in the ‘secret war’, ranging from Ian Fleming and Muriel Spark to Brendan Bracken, Hugh Gaitskell and Richard Crossman. I found that the inclusion of these notes at the start of the book disrupted the flow, and readers may want to start with ‘Part I’ and then refer back; ‘Part I. The Secret War Comes to Bedfordshire’ : I found this chapter fascinating, dealing with propaganda, the requisitioning of Woburn Abbey, and rumours and myths. These include, in 1942, the turmoil created by the ‘rumour’ that Luton’s hat trade was to be shifted to the north of England to free labour for war work; Glenn Miller’s last flight; and the suggestion that Rudolf Hess was brought to either Luton or Aspley Guise for holding/interrogation following his abortive peace mission. ‘Part II. Psychological Warfare’ : This chapter deals with the work of the black propaganda teams based at Woburn, with radio studios at Milton Bryan. They churned out interviews, leaflets and newspapers (‘Nachtricten’) aimed at spreading confusion and undermining morale in occupied Europe. ‘Part III. Covert Operations’ : This chapter focuses on the activities of the S.O.E. and its spin-offs, including ‘Tuck’s Japanese School’ (officially the Inter-Service Special Intelligence School), which was initially based in Ardor House, on the corner of Broadway, in Bedford, then 7 St. Andrew’s Road, and by 1943, 52 De Pary's Avenue. There are also excellent sections on the role of Chicksands, and Tempsford airfield, as well as interesting references to Howbury Hall, on the outskirts of Bedford. I can strongly recommend this book to anyone with an interest in wartime Bedfordshire, or who might be planning to visit Bletchley Park.